I suppose in the time of Jesus almost everyone had seen a camel and understand what Jesus was talking about. And most of them also had seen a needle. 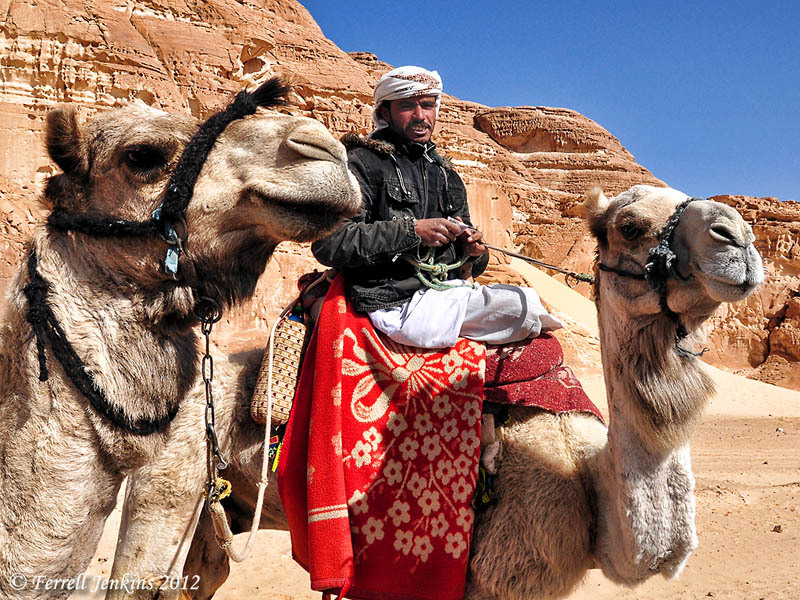 Camels and rider in the Sinai Peninsula. Photo by Ferrell Jenkins. The bronze needle below is displayed in the British Museum. The camel above is greatly reduced, and the needle below is greatly enlarged. 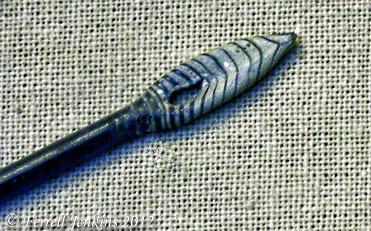 Bronze needle from the Roman period. British Museum. Photo by Ferrell Jenkins. What did Jesus mean? There is a popular theory that there was a gate in Jerusalem with a smaller gate called the eye of the needle. It is said that the camel could go through the small gate when the burden was unloaded. Sounds good doesn’t it? But it destroys the teaching of Jesus. Jesus spoke of something that was impossible for mere humans, but possible for God. Many of the medieval gates we know of in ancient cities had a small gate within the larger gate. There was no need to open a huge gate just for any individual to pass. They also warn of the temptation to tone down the teaching of Jesus. There is probably no saying of Jesus which is harder in the Western mind today than the saying about the camel and the needle’s eye, none which carries with it such a strong temptation to tone it down. (439). The IVP Bible Background Commentary: New Testament comments on the eye of the needle at Mark 10:25. This image reflects a Jewish figure of speech for doing something impossible (a large animal going through a needle’s eye). The saying, a hyperbole, refers to a literal needle. (Those who think Jesus refers here to a gate in Jerusalem called the “eye of a needle” are mistaken, because that gate was built in medieval times.) A wealthy person could relinquish wealth only by God’s grace (10:26–27). This entry was posted in Bible Lands, Bible Study, Israel, New Testament, Photography, Travel and tagged Ministry of Jesus. Bookmark the permalink. Then there’s Lamsa’s take on the translation . . . Thanks so much for the insight! !